Gianvito Rossi smooth leather mules. 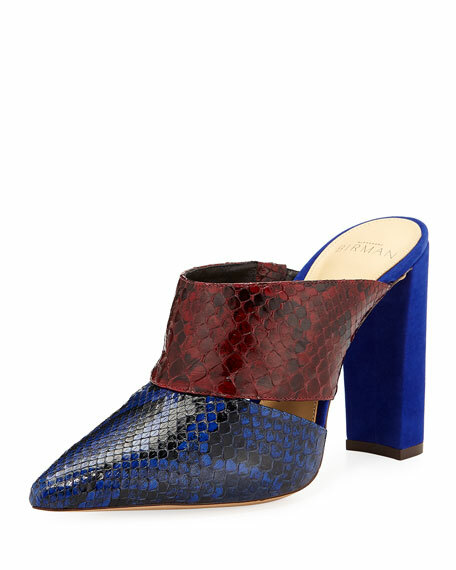 Alexandre Birman mule shoes in colorblock python snakeskin. 3.5" suede-covered chunky heel. Pointed toe. Slide style. Leather lining. "Evelyn" is made in Brazil. 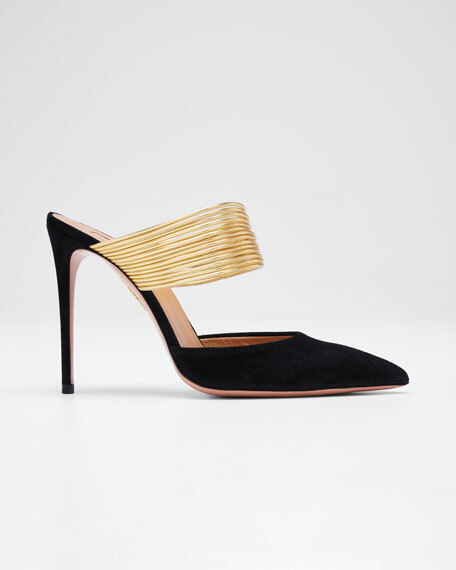 Aquazzura "New Rendez Vou" suede mules with metallic leather trim. 4.3" covered stiletto heel. Pointed toe. Layered vamp strap. Slide style. Leather lining. Smooth outsole. 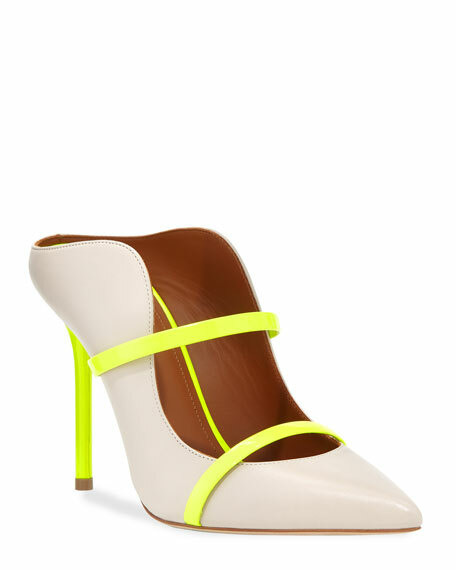 Malone Souliers mule in napa leather with neon patent leather straps. 4" covered stiletto heel. Pointed toe. Curvy, truncated topline. Slide style. Leather lining and sole. "Maureen" is made in Italy. Mercedes Castillo "Makato" flannel and velvet mules. Pearly studs and golden flower appliqus. Pointed toe. Pull-tab at notched vamp. Slide style. Leather lining. Smooth outsole. Made in Brazil.